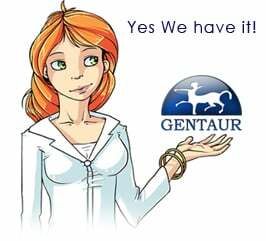 Gentaur antibody-antibodies.com The Marketplace for Antibodies : Discovery of mitogen-activated protein kinase-interacting kinase 1 inhibitors by a comprehensive fragment-oriented virtual screening approach. Discovery of mitogen-activated protein kinase-interacting kinase 1 inhibitors by a comprehensive fragment-oriented virtual screening approach. Mitogen-activated protein kinase-interacting kinases 1 and 2 (MNK1 and MNK2) phosphorylate the oncogene eIF4E on serine 209. This phosphorylation has been reported to be required for its oncogenic activity. To investigate if pharmacological inhibition of MNK1 could be useful for the treatment of cancers, we pursued a comprehensive virtual screening approach to rapidly identify pharmacological tools for target validation and to find optimal starting points for a plausible medicinal chemistry project. A collection of 1236 compounds, selected from a library of 42 168 compounds and a database of 18.8 million structures, were assayed. Of the identified hits, 26 were found to have IC(50) values less than 10 μM (2.10% hit rate). The most potent compound had an IC(50) value of 117 nM, and 73.1% of these hits were fragments. The hits were characterized by a high ligand efficiency (0.32-0.52 kcal/mol per heavy atom). Ten different chemical scaffolds were represented, giving a chemotype/hit ratio of 0.38.